Create the perfect gift with your photos! Classic photo canvas prints, bold photos on brushed aluminum, and personal calendars are all available for online order with local pick up. Make your gift this year stand out from the rest. Photos printed on classic canvas or bold metal let you share your memories as ready-to-hang art. Photo prints and personalized photo calendars are easy to order online and pick up locally. We have a wide selection of canvas print sizes ranging from 8″x8″ to 24″x36″ with matte and gloss finishes available. Photos on metal have a bold finish and visible texture. Available in a range of sizes from 8″x10″ to 20″x30″. Choose a silver base with brushed aluminum that shines through in your photo or add a white base coat for more saturated colors. 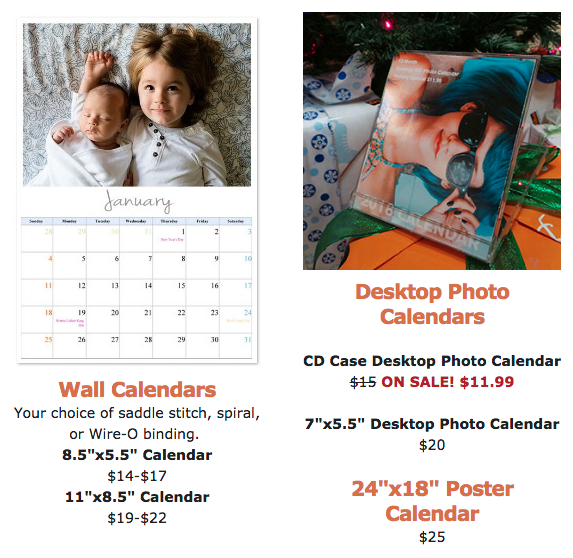 Your photos on custom calendars make unique and beautiful gifts. 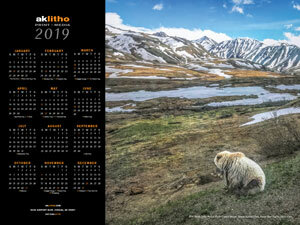 Wall calendars, desktop calendars, and poster calendars available for online orders. For special orders or large quantities, get a custom quote. These dates do not include time to process a print order. If you want us to print and mail something for you, please plan an additional 5-7 days before the date you want your project to ship.